It is common for development leases to be granted in respect of elements of a block of flats such as the roof with its airspace. There are a number of issues that arise around this. Developers acquiring such interests will want to know they can undertake the development. 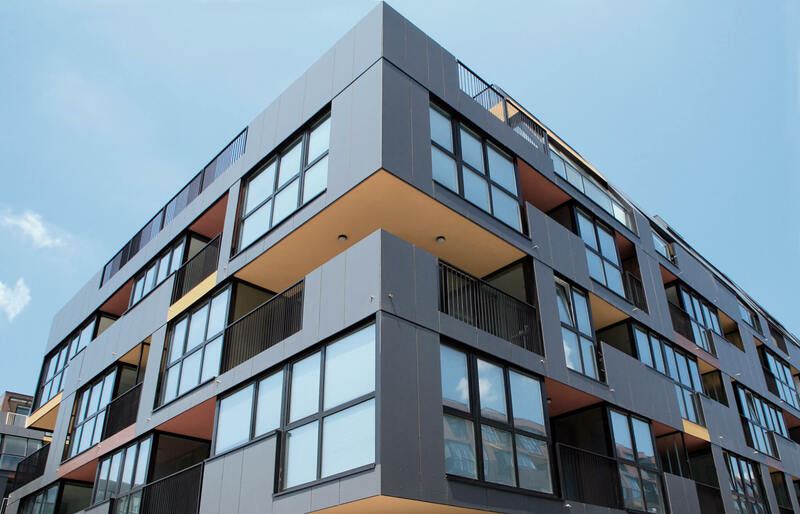 Flat owners will want to check whether the right of first refusal is engaged with potential take-over rights and absent that whether they can acquire the lease via collective freehold enfranchisement. A recent Upper Tribunal decision has clarified whether these interests can be acquired via collective freehold enfranchisement by the participating flat owners despite the developable land having been leased off. The enfranchisement legislation enables participating flat owners via their nominee to acquire certain leasehold interests as well as the freehold interest in the relevant building. In this regard they have to acquire any leasehold interests that sit between the freehold and the flat held by a qualifying tenant. They also have a discretion to acquire leasehold interests that comprise common parts the acquisition of which is reasonably necessary for the proper management or maintenance of the building. They may be put off from acquiring such an interest due to the development value that attaches to it. In this case the building comprised 10 flats and the participants sought to acquire three leasehold interests of this discretionary nature. Each lease contained an envelope of land for development, firstly a lease of the roof area and airspace up to 7m above the surface of the roof, secondly two-thirds of the existing basement area that housed the service installations of the building and thirdly an envelope of sub-soil at basement level that hadn’t been developed yet. The first instance decision before the First-tier Tribunal went the participating tenants’ way with a ruling that all three envelopes of land constituted common parts which were reasonably necessary for the proper management and maintenance of the building and so fell to be acquired by them. This decision was appealed to the Upper Tribunal. The basement development lease demised about two-thirds of the built basement area so anticipating that the service installations currently arranged around the perimeter of the rooms with pipes and conduits to them running along the walls and ceilings would be compressed into the remaining third so as to release the two-thirds let for development. The Upper Tribunal found that access to the whole basement was necessary to service and operate the installations which were used for the benefit of the whole building and that this was sufficient to render the whole basement a common part. It didn’t matter that the tenants had no access to the basement or equipment as it was for the shared use and benefit of the building occupants and so the basement area containing the installation was classed in line with its contents. As to whether the acquisition of the area was reasonably necessary for its proper management or maintenance the proposal to create residential accommodation by compressing the area containing the installation such that the balance lost its character as a common part would interfere with the reasonable maintenance and upkeep of the communal heating and electrical supply to the flats and common parts and so this criteria was satisfied and so the basement development lease was acquired by the participants. As regards the lease of the subsoil for development the subsoil falls within the parts that the participants can acquire as the legislation defines the “common parts” that may be acquired in relation to any building as including the exterior and so it only remained for the Upper Tribunal to find that the subsoil was reasonably necessary for its proper management or maintenance which it did even though the need for active maintenance/management of it might be remote. The determinative factor was that if the development was implemented then the additional residential accommodation created at basement level would cause the subsoil to no longer be a common part. As regards the airspace development lease, the Upper Tribunal found that it formed part of the exterior of the building and so it was prone to acquisition. As regards the second limb of the test for acquisition as to it being needed for proper management or maintenance it determined that this required the airspace to be retained as a means of access to the structure of the building to enable inspection and repairs when necessary and further facilities might need to be located on the roof within that airspace. The grant of a lease of a common part like this didn’t stop it being a common part. If the area were developed as the lease anticipated then convenient access to the roof structure would become impossible and so it followed that it was reasonably necessary for the block’s proper management that it be acquired. It was not determinative that the participants’ nominee would still have access to a new roof or that it would have access to the existing structure in the exercise of the right reserved in the airspace lease. So this case may encourage flat owners to use enfranchisement as a means of frustrating proposed development of their block or perhaps to take control of that development That said, they may be restrained from exercising the rights available to them by the cost of acquiring the relevant leasehold part as there may be a significant chunk of development value that attaches to it. Developers specialising in this area will need to protect their interests as far as they can when negotiating to acquire such interests. View When does a “flat” exist for flat owners to claim a new lease of or take into account when enfranchising the freehold?